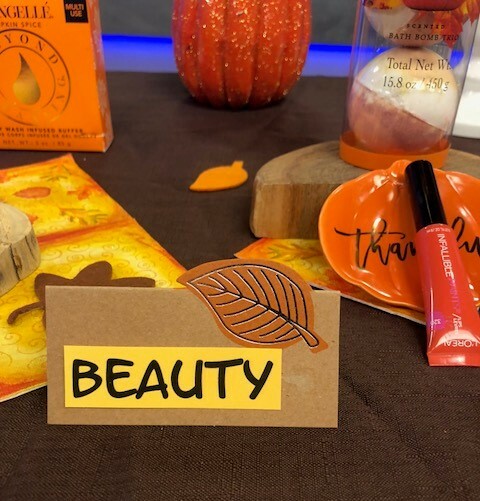 You are here: Home / Beauty / Orange You Glad It’s Pumpkin Season! 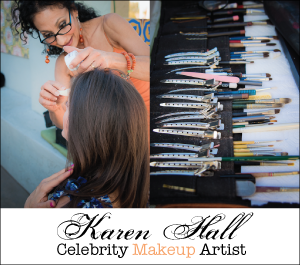 As seen in my 3TV Your Life Arizona morning show segment today. 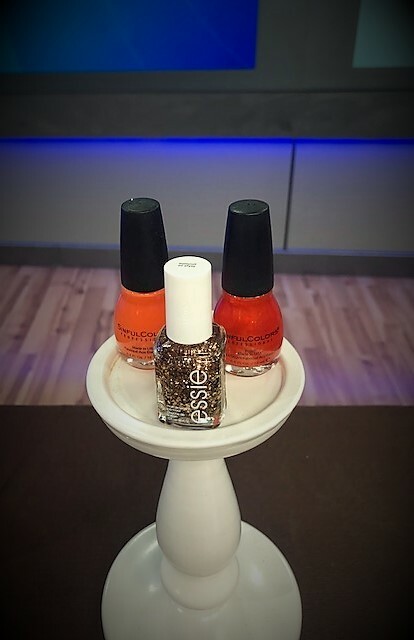 Orange you glad it’s pumpkin season! 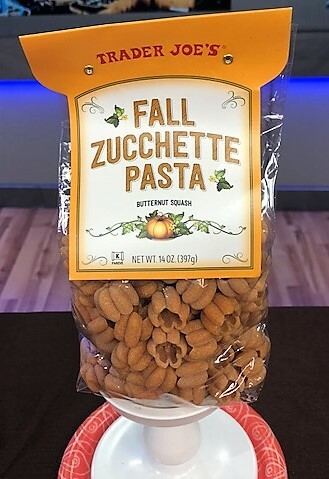 October has rolled around again and with that comes everything pumpkin! 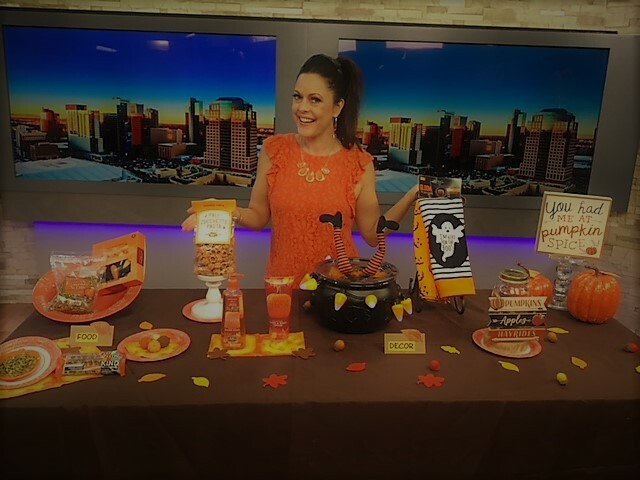 So, I decided to do a fun and festive segment on my morning show with everything pumpkin for the pumpkin lovers, for the pumpkin décor lovers and more. I found some fun and unique pumpkin stuff to share, too. Check it out and get festive with me. 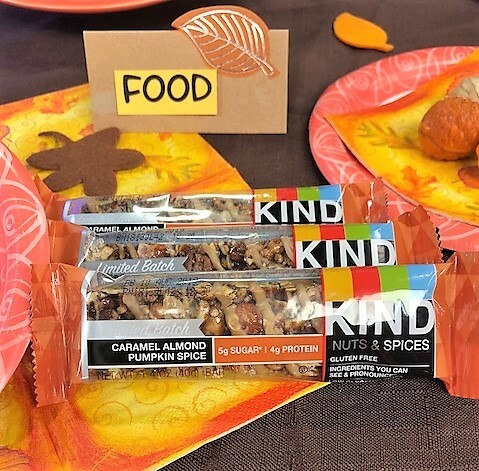 *KIND Caramel Almond Pumpkin Spice Limited Batch Bars – Only 5 grams of sugar and made with whole ingredients that are gluten free with zero trans-fat. Now this is a seasonal bar that I can enjoy with a nice cup of coffee without blowing my diet. Get them while supplies last. The caramel and the almond perfectly compliment the pumpkin spice. 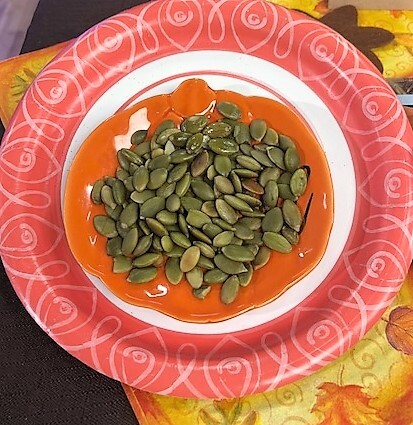 *Pumpkin Seeds – Always a healthy snack, which rocks because these tasty seeds give you powerful antioxidants and they are high in magnesium and fiber. So, grab a handful of pumpkin seeds for a great snack. 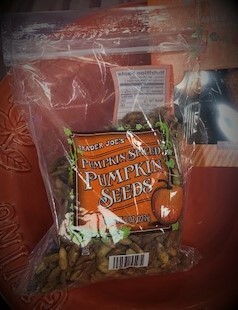 *Trader Joe’s Pumpkin Spiced Pumpkin Seeds is a yummy sweet and salty party snack to set out. Guests will love the sweet twist on traditional pumpkin seeds that are made with a butter sugar toffee glaze. Plus the seeds are seasoned with traditional pumpkin pie spices of nutmeg, allspice, ginger and cinnamon. If you need to bring a party snack, put these in a decorative bowl for a unique and quick twist on pumpkin seeds. 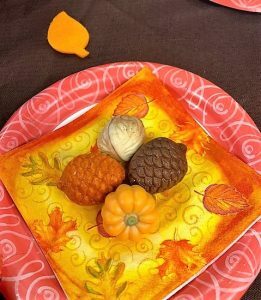 *Trader Joe’s Chocolatissimo Premium Harvest Collection Belgian Chocolates – Yummy filled chocolates shaped like pumpkins, acorns and more, this chocolate set is a perfect party favor, seasonal gift or arrange on a dessert platter. The variety includes a walnut praline, caramel cream, hazelnut and more, so they are extra tasty, too. $6.98 for a box of 8 pieces. It is so fun to decorate for fall! 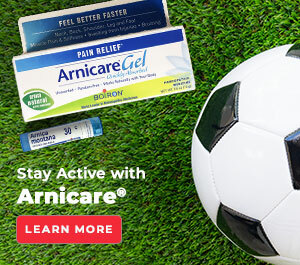 Here are a few items that all come from the drug store to make it easy and economical. *Put a duo of Simple Pleasures Spiced Vanilla Pumpkin Hand Soap and Spiced Pumpkin Scented Hand & Body Cream in the bathroom. When guests come over and use the restroom, they will love the festive pair. This is also festive bathroom décor on a budget since the lotion is only $4.99 and the hand soap costs only $1.99. Fall flair in the bathroom for under $10! *Get glittery decorative pumpkins to place around the home at Walgreens. Pumpkins come in different sizes and can be placed anywhere for quick pumpkin-themed fall home accents. *Little kids will love the Nice Witch Cauldron Gummy Candy dish. 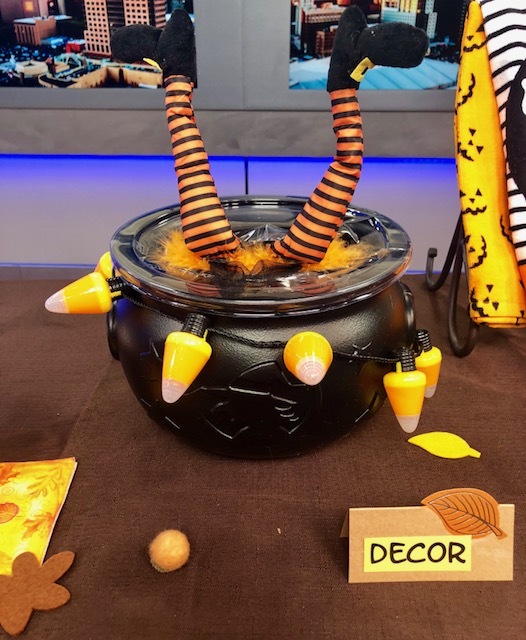 This cute item can be décor, a trick or treat bag or a candy dish that is cute to hold when giving out Halloween candy at the door. $9.99 at Walgreens. *Fun pumpkin illuminated necklace that can also be used as food décor. The Happy Halloween pumpkin necklace lights up three different ways so it is fun to wear. Or do what I do. I turn it on and place it around the bottom of a serving bowl for holiday fun plate décor. 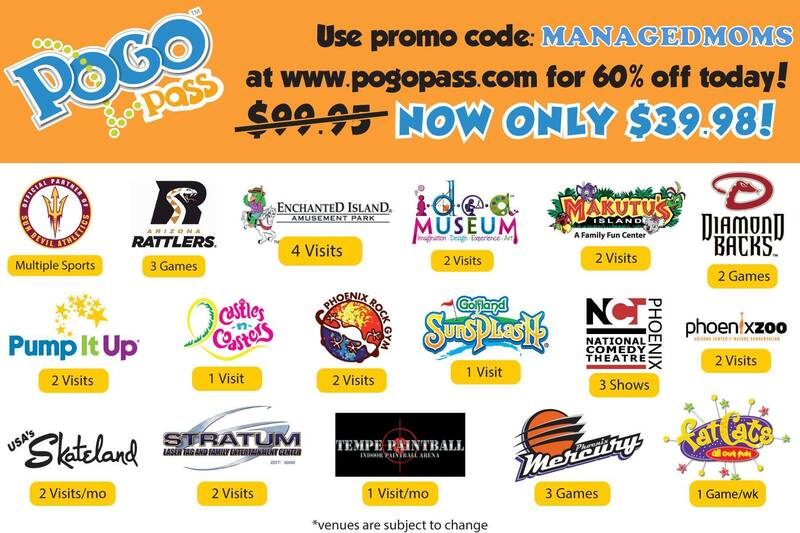 It only costs $4.99, too! 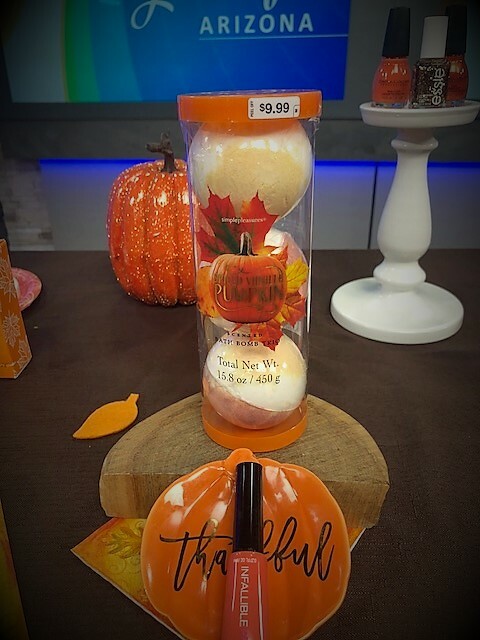 *Add the perfect scent to your pumpkin themed party with the Spiced Apple scented candle that is orange. $9.99 at Walgreens. 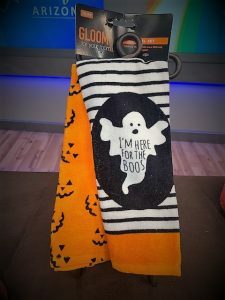 *Gloom Towel Set that has fun phrase, “I’m Here For The Boos” and that is the perfect hand towel to hang for guests at your festive get together. Sold in a handy set, the other towel has pumpkin faces all over it. $5.99 for the cute set at Walgreens. 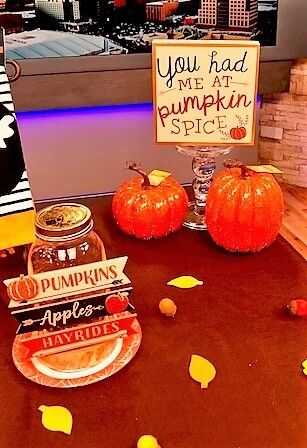 *Party City has a nice selection of inexpensive cute little pumpkin signs that can be bought online or in the stores. 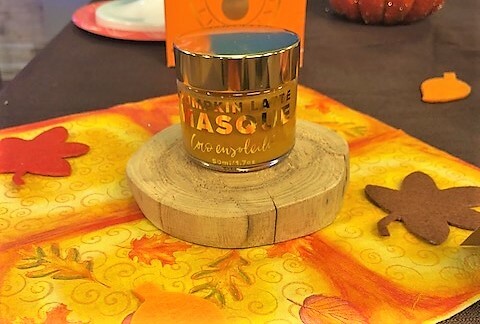 *Coco Ensoleille Pumpkin Latte Masque – A unique masque made of skin super food, pumpkin and coffee bean that results in a creamy, antioxidant and enzyme-rich face treatment. Smells delicious with added cinnamon, ginger and nutmeg while deeply exfoliating and removing dry, dull skin. Glycolic acid, vitamin e& c are also key ingredients. $50 at cocoensoleille website at this link. 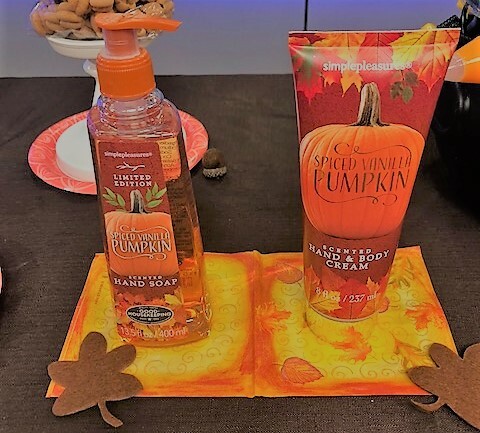 *Spongelle Pumpkin Spice Body Wash-Infused Buffer – One of my favorite products ever, the spongelle infused buffer is always awesome and is especially cool in pumpkin spice! This does it all as it cleanses, moisturizes, rejuvenates and restores the skin. This is sold online at this link. Plus, you get multiple uses shower after shower until the infusion runs out. So cool! 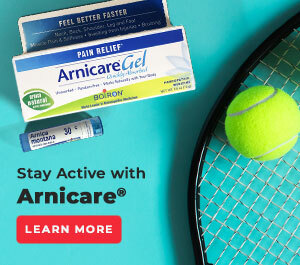 $16 at spongelle.com. 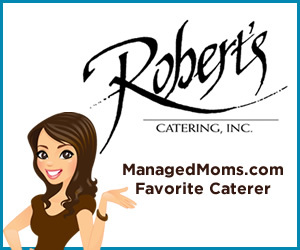 What fun pumpkin foods, décor or more do you love this season? Share in the comments section. Happy Fall! *Spiced Vanilla Pumpkin Scented Bath Bombs – set of three for $9.99.